A old but still very cool Collection is now available at my Lilypad Shop. 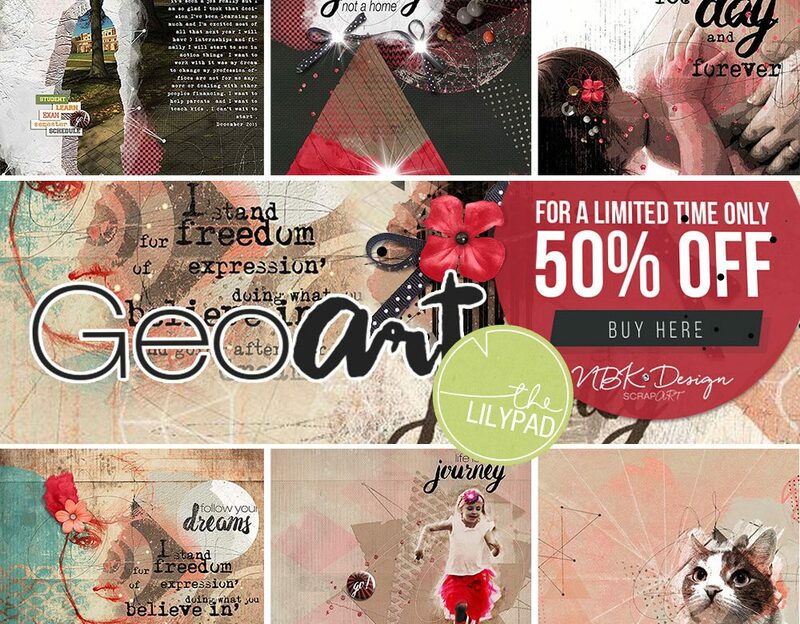 GeoArt is a awesome geostyled Collection. If you buy the Bundle you get the Glitterstyles for free. A great Set with handbrushed Word Arts and some flairs. Great Glitter-Set according the my other GeoArt Products. With this Collection I tried something new for me. Geometric Art. Shapes take the center of this Kit with all the included Elements. Also some real scrap elements like bows and flowers with realistic shadow are included. Sequins and a button is also included. I am sure you will create wonderful layouts for your photo-books, with this individual Product.